On paper President Abraham Lincoln couldn’t have hoped for a better military strategist—a man who had earned the nickname, “The Young Napoleon,” because he possessed an incredibly strategic mind. At the time, he was the youngest cadet ever accepted into the US Military Academy (15) and eventually graduated second in his class. His name was George McClellan. Ever hear of him? Most likely not, and here’s why. Under McClellan’s command the troops started to believe they could actually win the Civil War. So no one was surprised when President Lincoln promoted him to the rank of Major General and eventually General-in-Chief of the entire Union Army. He had everything going for him, but there was just one problem—he was reluctant to mount a mass offensive. 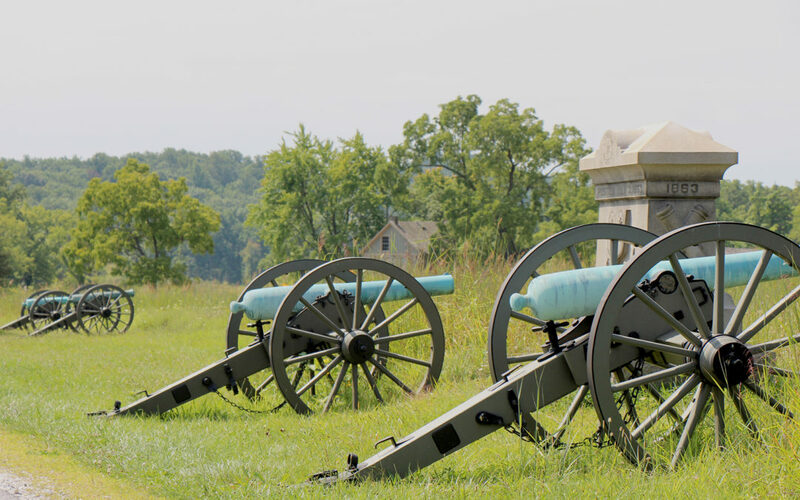 For weeks General McClellan readied his position, organized his men and laid out his battle plan, while Robert E. Lee’s Confederate Army lay dangerously exposed just a few miles away. President Lincoln repeatedly urged McClellan to put his numerical and tactical advantage to use and crush the rebellion with one swift attack, but he just wouldn’t fight. So, after an excruciating year of inactivity, President Lincoln finally removed one of the greatest military minds of all time and eventually replaced him with a man with half his tactical talent—but a man who loved to fight. And you no doubt have heard of this man—Ulysses S. Grant. Let me be clear. The renown of your name is not the point here. It’s been said that the greatest asset of a soldier is his/her ability to fight when called upon. Without that, all other assets are ultimately useless. Church, we have been called to do something, and everything else we do is a waste of time if it doesn’t lead us to do this one thing—make disciples. No matter how good we are at everything else, if we don’t do this one thing well, we come up short in fulfilling the mission God has given us. We can raise money and build great buildings. We can write books and compose great hymns of praise. We can have the biggest and best ministries in our towns and cities. But if we don’t make disciples, what good is it? In Matthew 28, Jesus calls us to invest in the lives of others the way that he invested in his disciples. But here’s the rub. I remember hearing these words, “Go and make disciples,” from a very early age, and all these years later I’ve finally come to understand why we initially gravitate towards the mandate. It’s because we are a “get ‘er done” kind of people. But as with anything related to the Christian life, the commands to do something are always rooted in the announcement of what God has already done for us. And so we’re not called to go and fight with our own strategy, and in our own power, to put a dent in the unbelief within our families, our workplaces, our schools, or our spheres of influence. No, we’re simply invited to engage the world around us with the battle plan God has already given us as outlined in the Great Commission. But of course, his commands are not all Jesus emphasizes. In Matthew 28:19 we read that we’re also to engage this world with the gift of baptism. Not only does God give us his commands, he expresses a need and a provision for cleansing as well. Because, after all, baptism is the washing away of our inability to live up to all he commands (1 Peter 3:21). Wow! God the Father has not only given holy requirements, but he also supplies the required holiness through this means of grace. And so this message is to be central in our disciple-making as well, but still the commissioning isn’t over. Jesus also teaches in verse 19 that we are to baptize in the name of the Father, Son, and Holy Spirit. But why? It’s because baptism is not just declaring the cleansing of our sin, but it’s also announcing God’s unconditional claim upon us. Think about adoption for a moment. It’s common for individuals who are adopted to take a family’s name as their own in response to that initiating love. In the same way, baptism done in the name of the Holy Trinity is where we can be assured that we are undoubtedly part of God’s family (1 John 3:1). It’s important to note that the New Testament writers always motivated the “soldiers of Christ” (2 Timothy 2:3) in light of this gospel. They gave imperatives (what you and I should do), but they did so based only on indicatives (what God has done). In other words, the motivation to live out any and all biblical obligations is always first rooted in gospel declarations. So the reason we’re to go and make disciples is not solely because Jesus commanded it; it’s because Jesus did precisely this for us. Do you know how many disciples Jesus was actually talking to when he gave this Great Commission? Eleven. That’s it! We’re told earlier in Matthew 28 that some worshiped this resurrected Jesus, but some also doubted. This tells me that our doubts are not new to God. They don’t shock or repulse him. Remember, these were the very same individuals who saw Jesus die and rise again, yet a number of them were still not convinced that he was the promised Messiah. Oh, so small in number and faith! But the size of the denomination or local church you belong to, or the size of the faith you have, does not matter! Why? Because it’s not about you! Remember, Jesus said, “All authority in heaven and on earth has been given to me. Therefore go and make disciples of all nations, baptizing them in the name of the Father and of the Son and of the Holy Spirit, and teaching them to obey everything I have commanded you. And surely I am with you always, to the very end of the age” (Matthew 28:18-20). Church, may we never forget that the same Spirit who raised Jesus from the dead now leads us into battle. It’s the Holy Spirit who strengthens us in our weakness, guides us into truth, and gives us courage to tell others about the gospel. And so in light of all that God has done and is doing in you, he now invites you to go and make more disciples with the assurance that the One we proclaim makes effective the work he calls us to. Our God is a sending God and calls his people to be a going people. So go and fight! Go and make his name known! Go and make disciples by engaging this world with the Father’s commands, cleansing, and claiming, with the authority of Jesus, and in the power of the Holy Spirit. Rev. Andrew Foss is Pastor at Hope Community Church in Nanuet, New York.